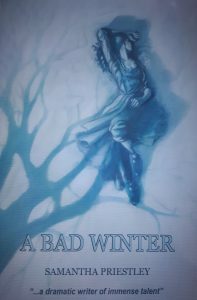 A Bad Winter, Samantha Priestley’s second novel for Armley Press, is a supernatural tale set among the wintry hills of Derbyshire, where a crime of passion sends reverberations down through the ages. 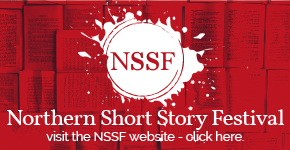 The story flits back and forth across 300 years and explores loyalty, betrayal, guilt, murder, faith and vengeance, centring on a rural community’s search for a missing girl and a quest for justice. But what seems like a spiced up local legend has eerie echoes for a 21st century visitor and her married lover as she tussles with feelings of jealousy and covetousness. With an ensemble cast of characters and literary resonances of Wuthering Heights and D.H. Lawrence, A Bad Winter is an intimate tale that touches on the big questions of life and death. You are invited to the book’s launch on 21 September at the Rutland Arms, Brown Street, Sheffield, S1, at 7.30pm. This is a free event and all are welcome. 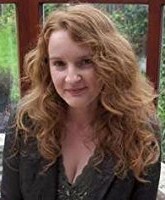 At the age of 9, Samantha Priestley won a school prize for a story about a girl who wakes up as a butterfly. Since then she has gone on to win both the H.E. Bates Prize and the Tacchi-Morris Arts Centre Prize and has been shortlisted for too many others to name. Her other books include Reliability of Rope and Orange Balloon. She lives in Sheffield. Previous story Love Arts Festival 2017 is Back!